classic Ferrari is expected to become the world’s most expensive car after it was put up for sale at £45 million. The 1962 Ferrari 250 GTO – one of the world’s most sought after classic cars – was the second to roll off its production line and is one of only 36 ever made. It was raced at Le Mans and Sebring and, despite being more than 50 years old, is capable of 0 to 60mph in around six seconds and a top speed of more than 170mph. The Ferrari has now come onto the open market for the first time in 20 years. John Collins, who runs Ascot-based Ferrari specialist Talacrest, is selling it for more than £45 million ($56 million). Mr Collins said: “I’ve been looking for a 250 GTO for a while and the opportunity came up with this one, which is the second GTO built. 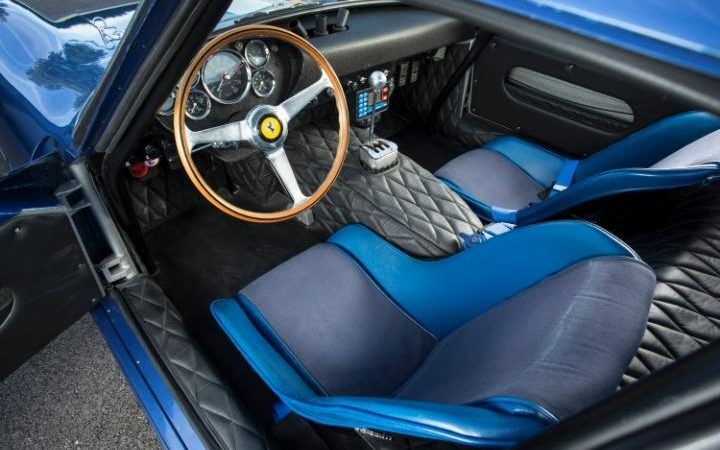 “It is a beautiful Ferrari, the Holy Grail of classic cars, and it has a great racing history having finished sixth overall at Le Mans and first in class at Sebring. “I have already had one offer on the car and know there will be interest. It will get you on the Ferrari 70th anniversary tour next year. Ferrari 250 GTOs normally only change hands behind closed doors, with a small number of brokers negotiating deals between the world’s richest car collectors. Bonhams sold a Ferrari 250 GTO at a US auction in 2014 when it went for $38 million (£30 million). The last time a GTO was auctioned before this was in 1990. The car being offered by Talacrest was built in March 1962 and used by the Ferrari factory for testing before it was sold to Luigi Chinetti and his legendary North American Racing Team. It was the first GTO to be used in competition, with Phil Hill driving it to first in its class and second overall at the 12-hour Sebring race. The car was then raced at the 1962 Le Mans 24-hour race, where it finished third in its class and sixth overall. Between 1962 and 1965 it picked up numerous other podium places.